Thought about booking an Amalfi holiday package? It's simple with Expedia, and you'll be able to buy a few nice meals or souvenirs for your friends back home with the cash you save. Book your package today on Expedia and save up to 16%*! It's really that easy! With more than 400 partner airlines and 321,000 properties to choose from on our extensive database, you won't have any problems creating your dream holiday. You never have to worry about changing your plans, as we don't charge additional cancellation fees for almost all of our reservations. Nearly ready to take off on your Amalfi holiday? Can't decide what sorts of things to include in your travel itinerary? Don't fret — we'll give you a few pointers. Boasting sights like Villa Romana and Villa Rufolo, there will never be a boring moment in this exciting metropolis. Once you're done having a look at those, squeeze in a bit more sightseeing at Emerald Grotto and Church of Santa Maria Assunta. If you've got an inquisitive mind, make your way to Paper Mill Museum. You never know what you will learn here! Adventurers in this destination have an abundance of choice. Visiting a region's monuments is an awesome way to glean an insight into its history and accomplishments. Take in Ancient Arsenals of the Amalfi Republic and find out the compelling story behind it. Still got some time on your hands? Find out when the services are held at Cathedral of Amalfi. While you're here, why not take a couple of moments to close your eyes and reconnect with your spiritual side. Travelling isn't just about famous destinations and swanky hotels. It's about the experiences you embrace and the incredible memories you collect along the way! 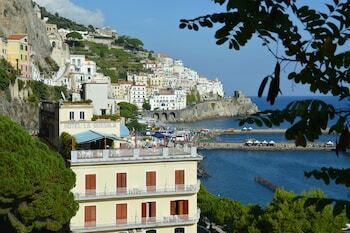 For the entire list of options, take a look at our Amalfi things to do page. There's nothing better than kicking off your shoes after a big day of activities. 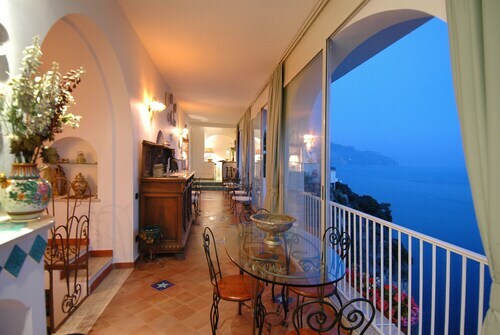 There are 179 properties in Amalfi, so securing a decent room for your luxury getaway or cheap holiday won't be hard. The Monastero Santa Rosa Hotel & Spa (Via Roma 2) and the Belmond Hotel Caruso (Piazza San Giovanni Del Toro 2) are two of the higher-quality choices in Amalfi. Stay at either and you're bound to have the nicest amenities in town. If you've crunched the numbers and these don't agree with your budget, don't stress — we have some lower-cost options. Check out the Hotel Marina Riviera (Via P Comite 19) and the Hotel Belvedere (Via Smeraldo 19). Naples International Airport (NAP) is the starting point for most people going on a trip to Amalfi. It's located 25 miles (40 km) from the town centre. Offering direct access to the beach, this Amalfi hotel is within 1 mi (2 km) of Ancient Arsenals of the Amalfi Republic and Amalfi Beach. Atrani Beach and Amalfi Harbour are also within 1 mile (2 km). 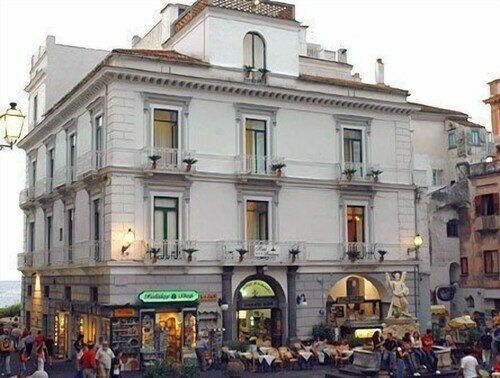 Located in the heart of Amalfi, this hotel is within 1 mi (2 km) of Cathedral of Amalfi and Amalfi Beach. Maiori Beach is 3 mi (4.9 km) away. Nestled on the beach, this Amalfi hotel is within 1 mi (2 km) of Ancient Arsenals of the Amalfi Republic and Amalfi Beach. Amalfi Harbour and Cloister of Paradise (Chiostro del Paradiso) are also within 1 mile (2 km). Situated in Amalfi, this hotel is within 1 mi (2 km) of Ancient Arsenals of the Amalfi Republic and Amalfi Beach. Cloister of Paradise (Chiostro del Paradiso) and Cathedral of Amalfi are also within 1 mile (2 km). Situated in the historical district, this luxury hotel is in the same region as Terminal Traghetti. Located in Amalfi, this beachfront hotel is in the historical district, just steps away from Cathedral of Amalfi and Amalfi Beach. 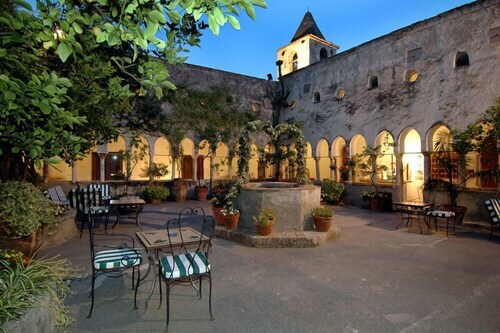 Cloister of Paradise (Chiostro del Paradiso) and Ancient Arsenals of the Amalfi Republic are also within 5 minutes. 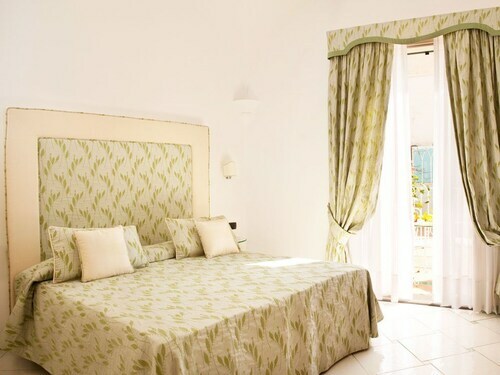 Situated in Amalfi, this hotel is 1.1 mi (1.7 km) from Amalfi Harbour and 1.3 mi (2.1 km) from Amalfi Beach. Cloister of Paradise (Chiostro del Paradiso) and Cathedral of Amalfi are also within 2 miles (3 km). Offering direct access to the beach, this Amalfi hotel is in the city centre, steps away from Ancient Arsenals of the Amalfi Republic and Amalfi Beach. Cathedral of Amalfi and Cloister of Paradise (Chiostro del Paradiso) are also within 5 minutes.